I had a few experiments with boxes for my project at this month’s stamp camp, and this is the one I think I’ve settled on. I got the idea from a project we did at my demonstrator group’s meeting last year. 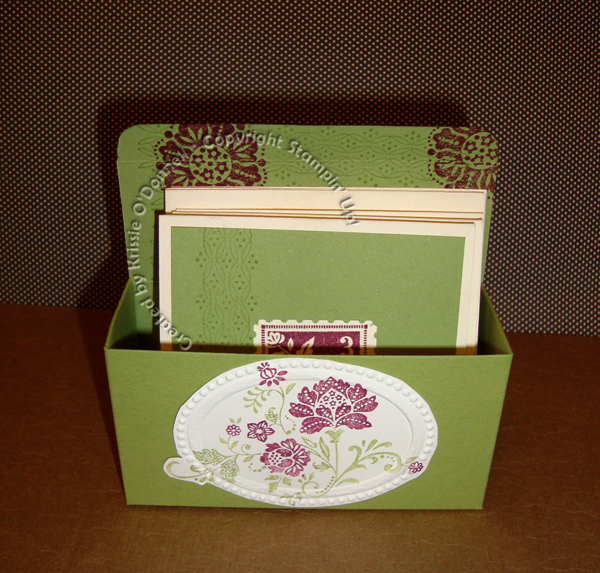 It is a box created with the Bigz XL Box #2 die. Fold the small flaps in and leave the top flap unfolded and open. It fits and displays love notes that coordinate with the box. 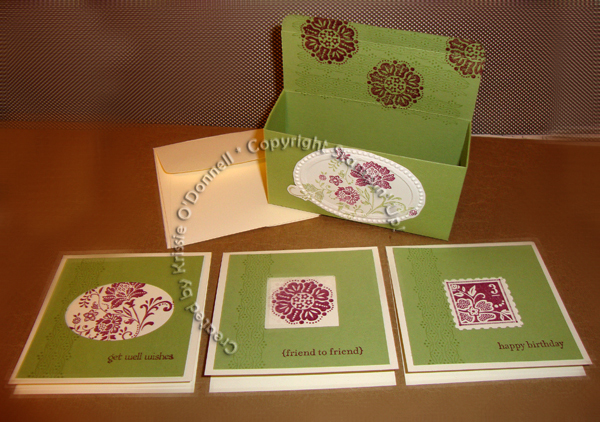 Accessories: Big Shot, Box # 2 Bigz XL die, 1-1/4″ square punch, postage punch, wide oval punch, stamp-a-ma-jig, oval designer frames embossing folder. Color Refresh & Free Shipping!